Wet spray painting is used in a large variety of industries and applied to innumerable products. Wet spray painting is used to apply paints and varnishes to various materials including all types of metals, plastics and wood. 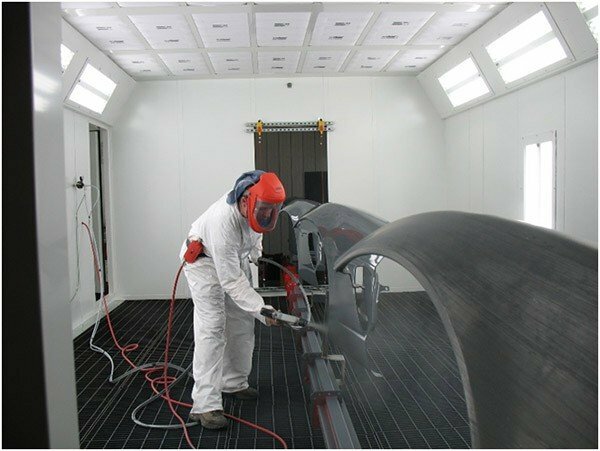 Wet spray paint operations may involve spray booths with automatic spray guns or robotics for precision spray painting and even manual spray systems. 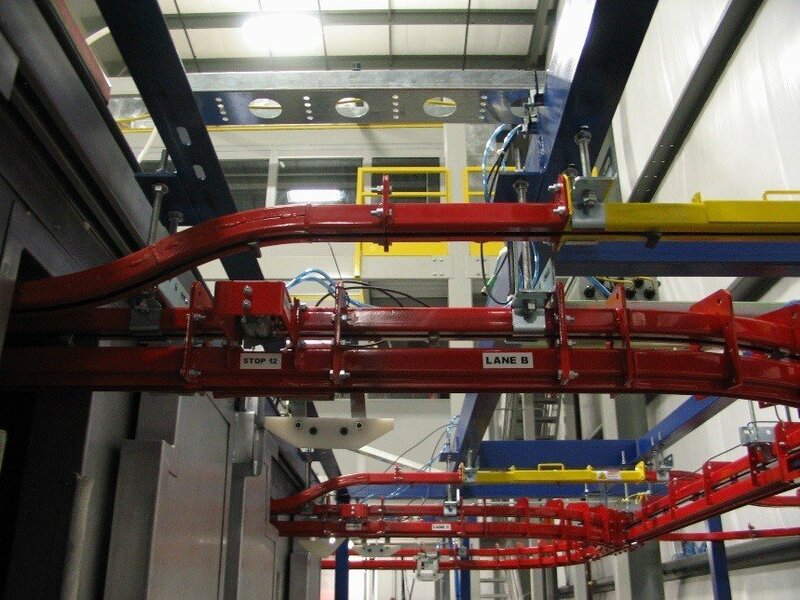 Overhead conveyors are often the best choice for handling items for all types of automated wet spray finishing lines. 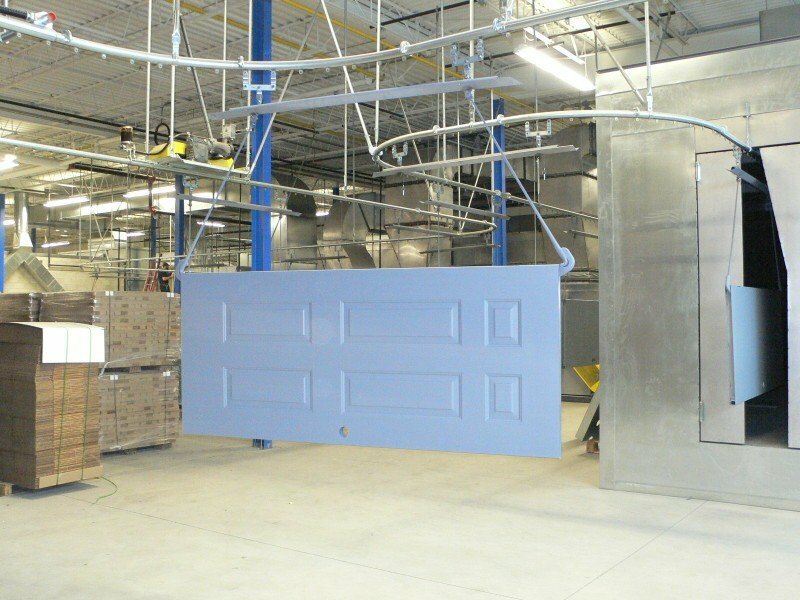 Since excess wet paint will fall or gravitate downwards, having the moving conveyor located above the parts being handled helps prevent much of the over-spray and paint runoff from reaching and adversely affecting the conveyor system. However, items that are awkwardly shaped and very heavy, may require floor mounted conveyors to transport them through the wet spray finishing system. PACLINE offers several conveyor types which have been used to automate wet spray finishing lines. This conveyor is designed to handle two processes running at different speeds at the same time. 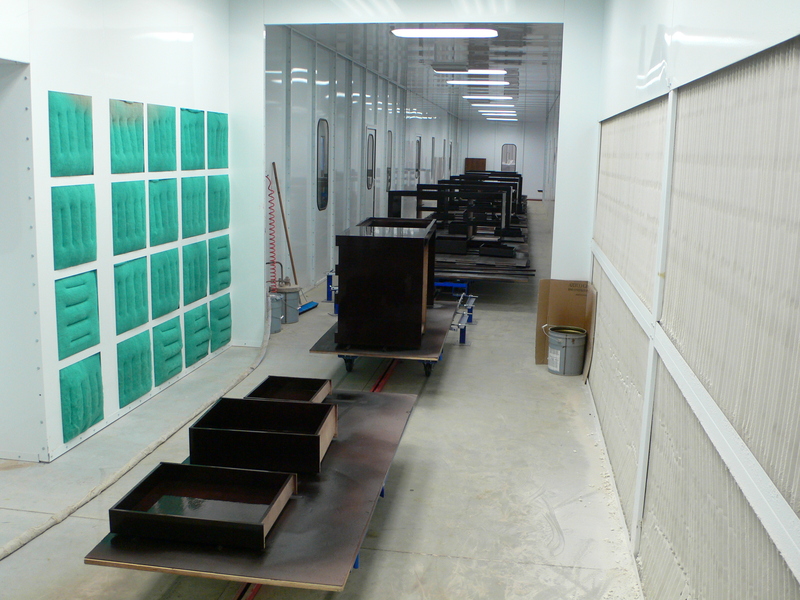 Finished parts can accumulate while others are in the painting or curing stage. This compact conveyor loop transports products through several stages of finishing from sanding, wet spray painting and drying. This PAC-MAX™ conveyor system is floor mounted in slot sideways orientation for this high quality spray paint application. This heavy duty conveyor offers excellent stability for large parts when carried above the track. The PAC-TRAK™ Towline cart system with rotating platens, handles awkward furniture pieces of various shapes and sizes through multiple spray paint booths and curing ovens.